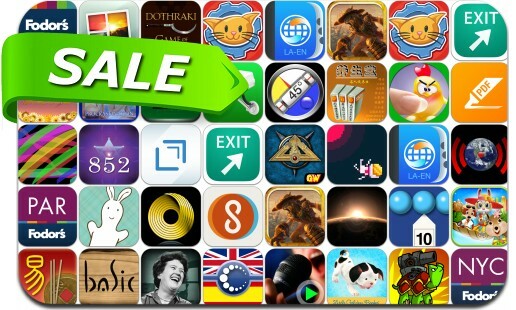 iOSnoops is constantly on the lookout for great deals, and here are 36 iPhone and iPad apps that have just been discounted. This app deal alert includes Sunburn!, Talisman, Live Cams Pro, iMashup, Clinometer, Drafts 4, Shellrazer, Oddworld: Stranger's Wrath, Sunburn!, Smart Basic, Photostein, PDF Max 3 Pr, Sleep Easily Meditation, Where To? and many others.